Gotten away from a weekly sales meeting? Maybe you aren’t aware of it, but just because the “market” and the competition did away with weekly sales meetings years ago doesn’t mean you should, too. An office’s culture and energy are a direct reflection of the leader, which means that you personally set the tone for your sales team—yes, that’s you: the sales manager! You are able to increase the performance of your office by increasing your communication of what is happening in your office and in the market. It’s really a fantastic revelation. Your enthusiasm about selling homes, increasing marketshare, introducing a new marketing initiative and celebrating and recognizing your agents are all part of being a top-performing sales manager. It works. Top-performing sales teams and sales managers have a weekly meeting every week. It is the lifeblood of their business. It’s imperative to meet—do not cancel the meeting unless it is literally falling on a major holiday. During a holiday week, don’t cancel meetings; just have a shorter meeting so that your agents are still announcing new listings, sharing information and keeping the momentum going. Imagine starting and stopping a freight train that is on a roll with great momentum. Every time you skip a week, you are slowing your team down, and then trying to start them again the following week. Having a weekly meeting keeps the freight train going at the highest speed possible. Your agents will love the weekly meetings, as it truly will keep their personal momentum going strong, as well. It’s showtime! Add value and create an environment of success. This is your time to see all of your amazing sales agents at least once a week and add value to them to help them succeed. In a very mobile world, it is so important to keep your team coming into the office. This is the one time you may see them in a week. If you have weekly meetings that add value, your agents will be sure not to miss them. This is a way to show your agents how to use your marketing tools, your web tools and/or your in-house mortgage, title and insurance services to help them sell more houses, and for them to use to create more value for their buyers and sellers. Train and coach your team for increased listings and sales. Your sales meetings should help your agents list and sell more homes, increase their sales skills (how to generate leads and close them) and help them stick to their goals. Adding a real estate training and coaching topic to help them use the marketing tools and programs your brokerage offers will not only help them learn, but also help show them how to use these to increase their income. When they see results in the tools and programs you are showing them, they will start using them, and success breeds more success. Talking about the successes of others during the sales meeting reinforces that they are at the right company, and creates an amazing culture of teamwork and mutual respect. Use your sales meeting as a recruiting and listing tool. Your sales meeting is a recruiting tool to share with prospective recruits, both experienced and new, because of how you package its value, from training, communication of industry trends, market trends, new listings, and more. Top managers recruit agents to their offices because they have exceptional sales meetings every week, and agents are attracted to the culture of success. It is also a huge listing tool for your agents to use when they are on listing appointments. Your sales meetings can and should be the “Best Networking Event of the Week,” where agents can pre-market their listings to those who have buyers. Using the sales meeting as a listing tool during a listing presentation will dramatically increase your team’s ability to sell more of your inventory in-house, too. 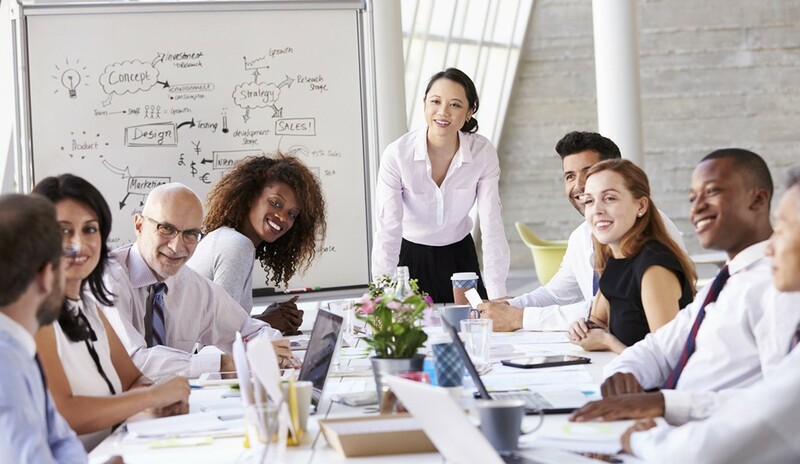 There are so many benefits to holding weekly sales meetings: increased confidence, camaraderie and teamwork are the byproducts, but also, the recognition and success-sharing truly spreads, and success becomes contagious. There is a healthy competition where everyone is happy for their teammate and wants to work together so everyone wins and hits their goals. If I haven’t convinced you yet, think about your office numbers year-to-date and what would happen if you turned it up and held weekly meetings like you used to. If you add value, create an environment of success and communicate updates, your team will be thriving, and great things will happen. For a free copy of my exclusive Sales Meeting Assessment Questionnaire, click here.